Samsung Electronics said Friday that it posted record operating profit of 8.1 trillion won ($7.3 billion) in the third quarter of this year on the back of robust smartphones sales. It is the fourth straight quarter of record operating profit. The preliminary estimate for the July-September period is a 90.6 percent rise from 4.3 trillion won a year earlier and a 20.5 percent gain from the previous quarter, the company said in a regulatory filing. 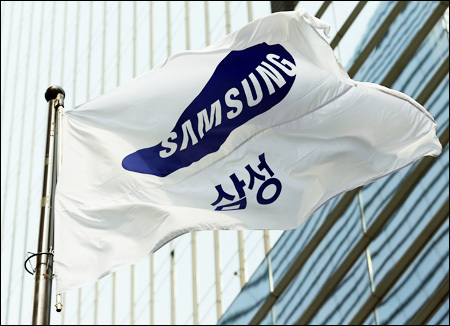 It is the first time a Korean company has exceeded 8 trillion won in quarterly operating profit. In the filing to the Korea Exchange (KRX), the electronics giant also said it recorded record sales of 52 trillion won during the three-month period, up 26 percent from a year ago. ``For the first nine months of this year, Samsung has reaped 144.87 trillion won in revenue, while the combined operating profit reached 20.67 trillion won. It’s possible for Samsung to clinch 200 trillion won in revenue and 25 trillion won in operating profit for the entire year,’’ said a company spokesman. The firm plans to announce the breakdown of its quarterly performance by business division later this month. Samsung officials say smartphone sales have been good, while its consumer electronics and display-panel divisions also helped improve quarterly earnings and revenue. “Our smartphone business was very impressive in the third quarter. We expect the phone-making division took up 68 percent by reporting at least 5.5 trillion out of the 8.1 trillion won quarterly operating profit,’’ said the official. Samsung shipped 57.1 million smartphones in the third quarter, said leading local brokerage Daishin Securities. That will surpass the 50.5 million the firm shipped the previous quarter, a new high for a single vendor. Sales of the Galaxy S3 surpassed 20 million in the 100 days after its May debut, the firm said on Sept. 6. The company is also marketing the Galaxy Note 2, equipped with a stylus and a larger screen than the S3, after the first version sold more than 10 million. But the official stressed the firm’s other businesses have improved or at least secured their bottom line despite the debt-crisis in Europe and a slowdown in consumer spending in the United States and China. ``This is a good sign for Samsung as its rivalry with Apple is expected to heat up in the fourth quarter after the release of Apple’s new iPhone,’’ said the official. Samsung’s consumer electronics unit, which mainly handles its television business, reported some 700 billion won in operating profit in the last quarter thanks to the rising popularity of high-end TVs in Samsung’s strategic business markets of Europe, North America and China. Samsung’s semiconductor division, which is a traditional cash cow, is seen to create some 1 trillion won operating profit during the July-September period helped by an increased shipment of mobile application processors for use in smartphones and tablets and flash-type memory chips. But executives admit they are nervous about the company’s dependency on the booming smartphone business. The profit contribution from its phone-making business was between 20 and 30 percent before smartphones came out. But it was 73 percent in the first quarter of this year, according to Samsung. ``This is a new challenge for us. We are asked to find the next smartphone to diversify our business portfolio and lower the heavy dependency on that business,’’ said a Samsung executive by telephone. According to a recent study by market research firm Strategy Analytics (SA), the demand for smartphones priced over $300 will lower to 30 percent next year from this year’s estimated 39 percent, meaning Samsung will suffer from a possible decline in average selling price (ASP) _ a barometer to gauge profitability. Samsung and Apple are dominating global demand for smartphones. But the rapid rise of China’s budget smartphone manufacturers including ZTE are posing another threat to Samsung and urging its top decision makers to develop other businesses for corporate sustainability. ``I can say today’s smartphone boom is just like a carbonated drink. I mean smartphones don’t need huge investment, unlike memory chips, and could be a short passing phase,’’ said another Samsung official.